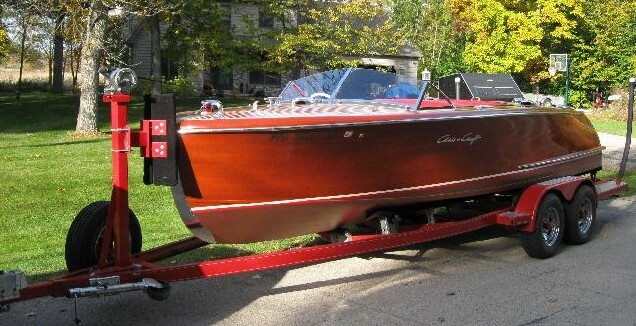 Protect your investment in your vintage inboard boat with a new, custom built inboard trailer by Macatawa Bay Boat Works. Our trailers are truly custom built from scratch around the specific dimensions of your particular boat. 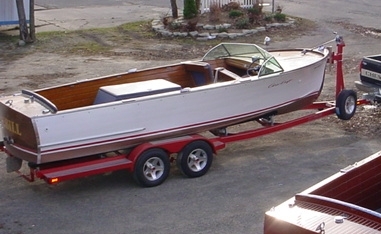 Each trailer is custom built around the exacts dimensions and specifications of your boat. 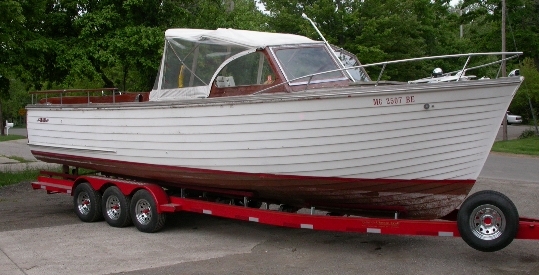 You may bring the boat to us for measurement and final fit. We can also build a trailer for you based the measurements you provide. In some cases we may have measurements on file for your particular boat. 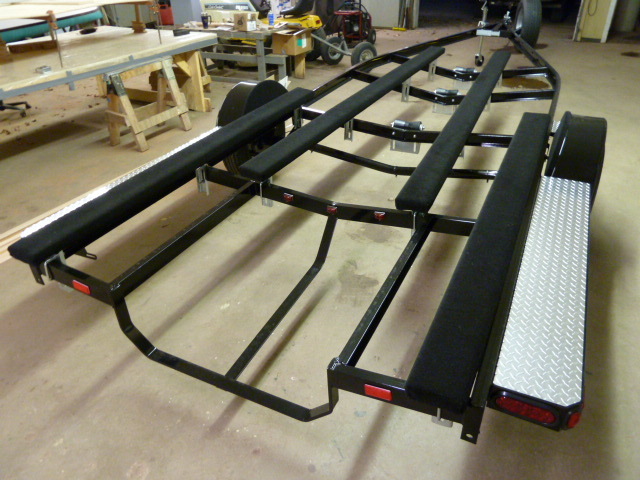 Our trailers are custom built with adjustable bunks that allow for a perfect fit once the boat and trailer are together. All trailers are custom built for you. 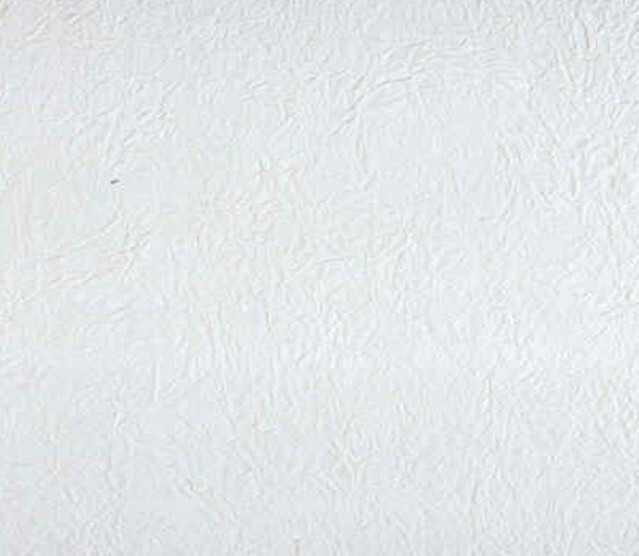 A 50% deposit is required at time of order, the balance is due at the completion of the trailer. Typical turnaround time is 4 - 6 weeks from when the order is placed.